A fine and rare early 18th Century gilt armchair with upholstered seat and back, the padded out scrolling gilt arms above four square inverted pillar legs decorated with fine cut gesso work. 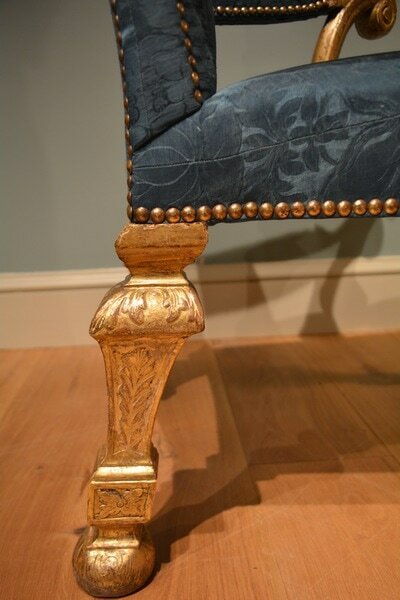 This chair retains it's original gilt surface and is upholstered in 18th Century silk damask and nailed according to the original patterning marks left on the beechwood frame (photographs of the chair in the frame are available). 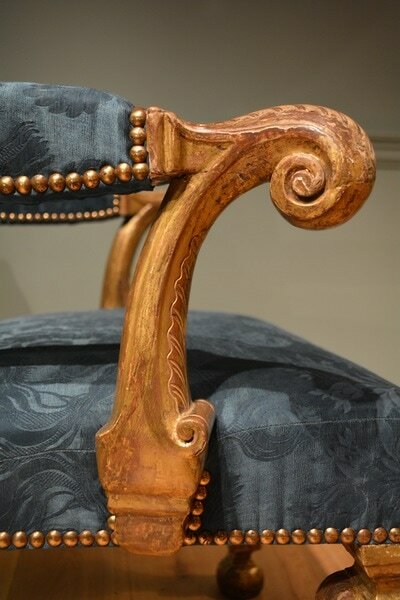 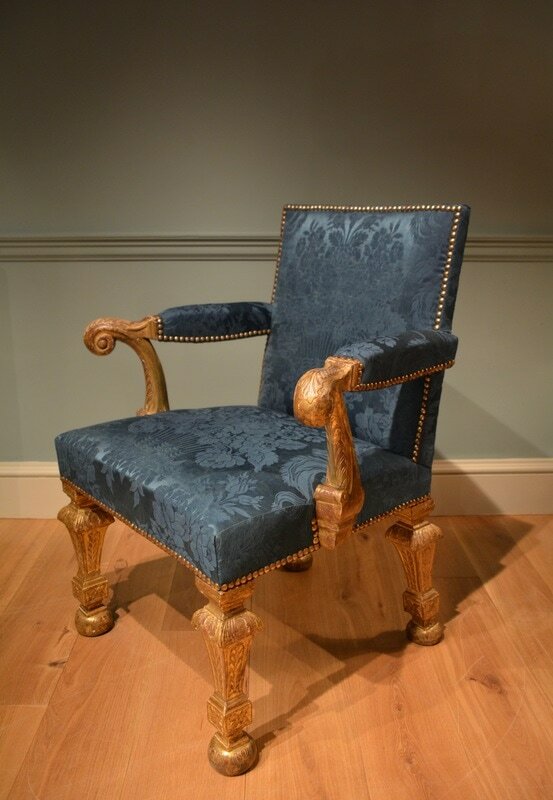 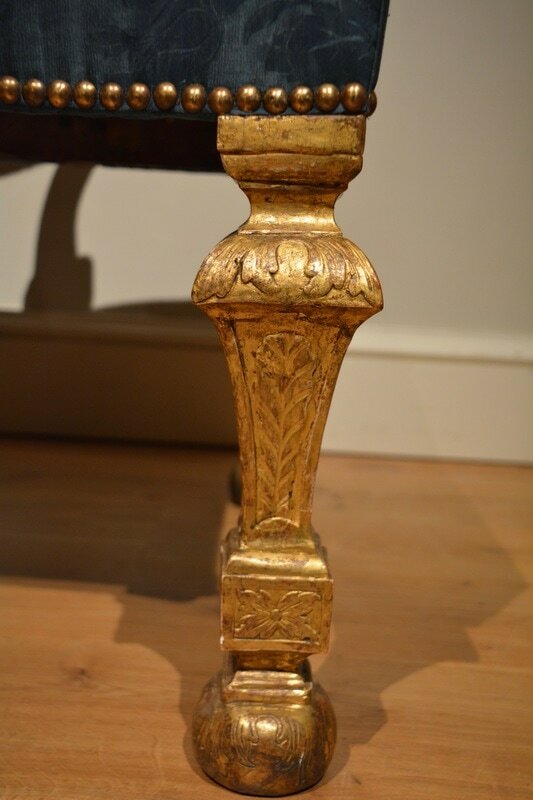 Chairs with this type of leg are sometimes associated with the work of William Hallett of the late 1730's, however, this type of leg was commonly used in English and Continental furniture in the late 17th and Early 18th Centuries. 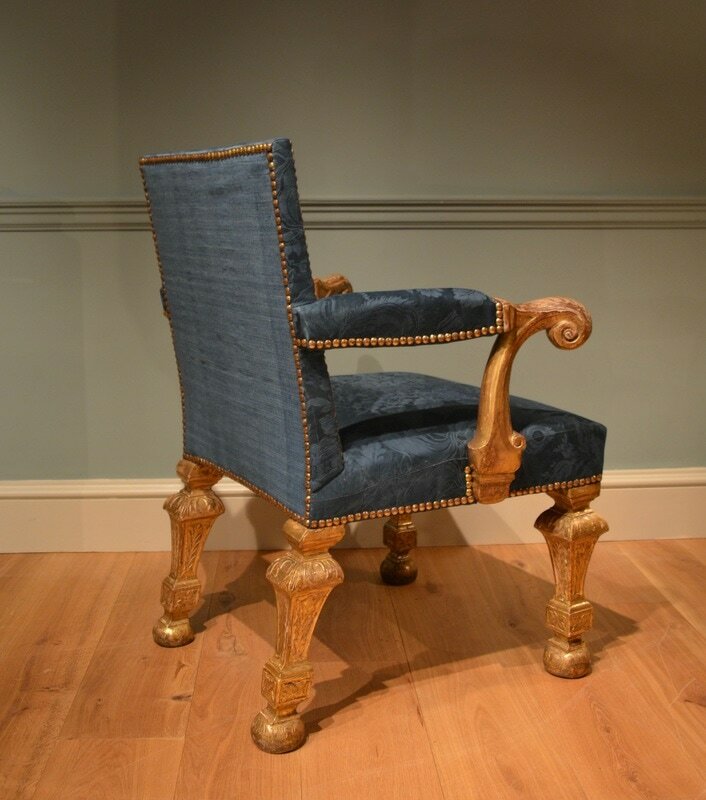 With it's fine cut gesso work and form, which is reminiscent of some chairs from Houghton, this chair would seem to date from 1720 to 1725. 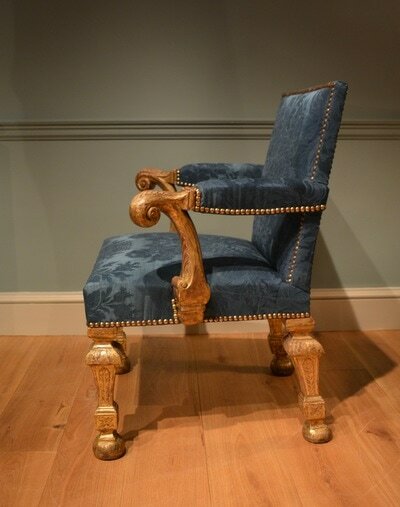 ​ English George I 1720-25. 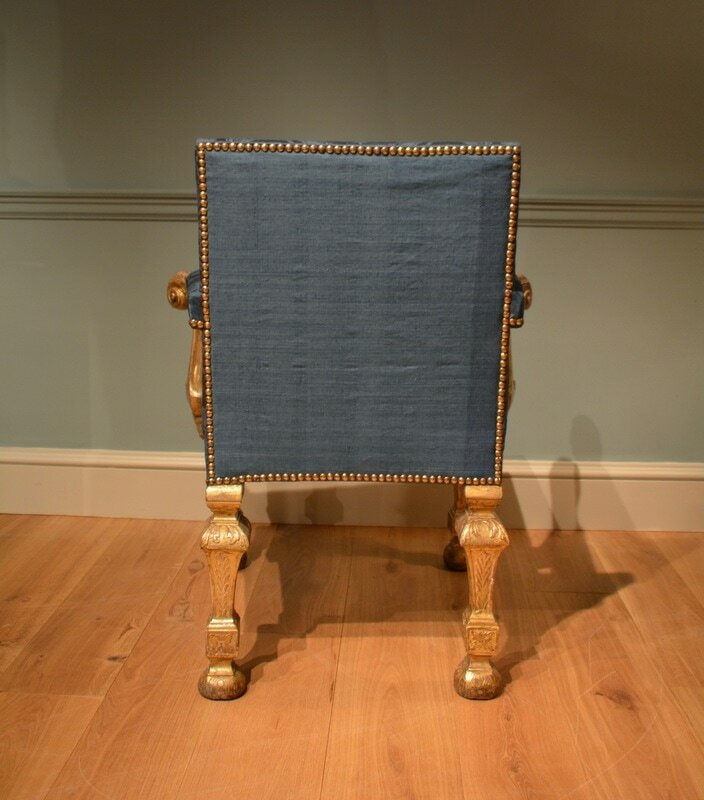 Height 36" Width 30" Depth 26" Seat height 18.5"